Conservation in Action gives pupils the opportunity to learn about the important conservation projects the Hawk Conservancy Trust has initiated and is currently working on. One of our key projects is the international research and support of endangered and critically endangered vultures in South Asia and Southern Africa. Groups will join our vultures to watch them feed and observe typical behaviour while getting a private talk from one of our expert bird staff. 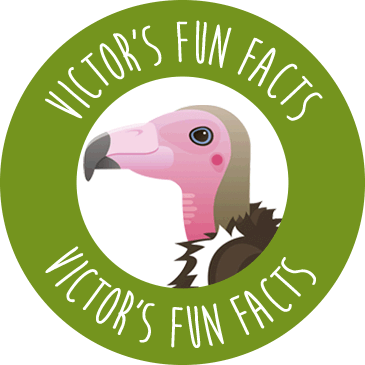 By learning about the interesting natural food chains which support vultures in the wild, pupils will delve into the world of this scavenging bird of prey and find out how it has evolved. For older pupils there will be a short talk and slideshow presentation that will highlight some of the major threats affecting vultures. All groups will be able to have a close encounter with a critically endangered vulture as they meet it outside its aviary for a private flying display in our African Savannah Arena. This will help pupils to gain an appreciation of the adaptations of birds of prey that help them to survive in the wild. What is the benefit of being able to see animals and birds in zoos? Why are captive breeding projects important? What can we all do to look after animals around the world? Recognise the importance of looking after the natural world and the species in it. Identify threats facing endangered species and explain what being endangered means. Understand the positive and negative human impact on environments as well as the implications of science today and for the future. Identify that most organisms live in habitats to which they have adapted to and describe how different habitats provide for the basic needs of different kinds of animals and plants and how they depend on each other. Identify how animals and plants have adapted to suit their environment in different ways and that adaption is the result of evolution. Describe how animals obtain their food from plants and other animals using the idea of a simple food chain, and identify and name different sources of food.